“Let’s face it, Trump got it right with Turkey,” said Simon A. Waldman, an academic specialising in Turkey, in the opening line of his op-ed published in Israeli newspaper Haaretz. 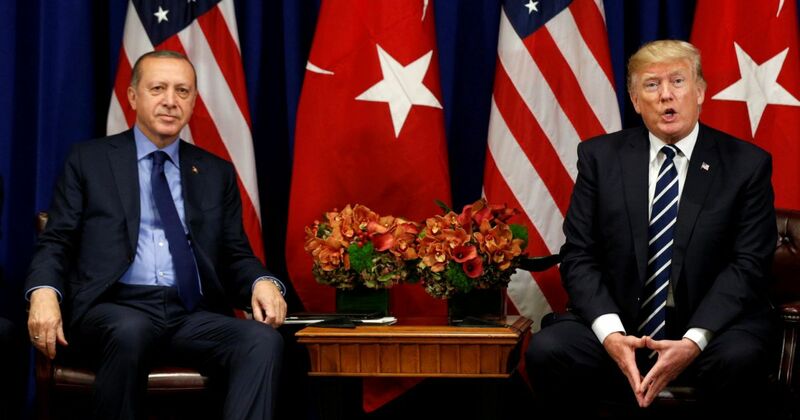 Waldman referred to the line taken by U.S. President Donald Trump with his Turkish counterpart, Recep Tayyip Erdoğan, which he said had been tough enough to force the Turkish “belligerent authoritarian strongman” to back down on a significant disagreement and get relations back on track. Turkey’s relations with the United States have been tense at the best of times this year, thanks to U.S. support for Kurdish militias that Ankara counts as affiliates of the Kurdistan Workers’ Party (PKK), one of its most stubborn foes. Turkey’s insistence on buying Russian S-400 missile defence systems against the advice of its North Atlantic Treaty Organisation allies, the fallout of a U.S. investigation of Turkish involvement in a scheme to break sanctions on Iran, and Erdoğan’s bodyguards’ assault of protesters during a visit to Washington D.C. were among the other major issues poisoning relations this year. It was the two-year detention of Andrew Brunson, a U.S. pastor accused by Turkey of espionage and links to terrorist organisations, that brought matters to a head, however, and the Trump administration’s use of sanctions in response forced Turkey to back down and eventually return the pastor. The return of Brunson resulted in the lifting of sanctions and allowed the two countries to return to their collaboration on matters in Syria, Waldman said. “Indeed, ties appear to be back on track. The U.S. named Turkey as one of the eight countries temporarily permitted to continue petroleum purchases from Iran, despite the additional sanctions being snapped back into action. And on 6 November, Washington announced U.S.$4-5 million rewards for any information on several leading PKK operatives,” he said. Trump’s approach to North Korean leader Kim Jong-un and now Erdoğan has shown a deft touch while handling strongmen, said Waldman. However, disagreements over the S-400 deal and other issues remain, as well as the countries’ diverging policies in Syria, and there is little chance of more significant improvements in the short term. “There’s a long way ahead before relations get back to normal, but Trump, for the timing being, has able to ensure that there was at least a start,” Waldman said.